Hello everyone! We are about to start a weekend full of rain. I had plans to purchase plants this weekend, but that is going to pushed off for now. With al the rain coming, I'm thinking of watching a show on Netflix. What are some of your favorites? I just finished Girlboss and 13 Reasons Why. 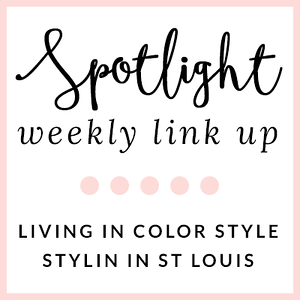 Spotlight: Our spotlight of the week is Alicia of Between the Pearls! 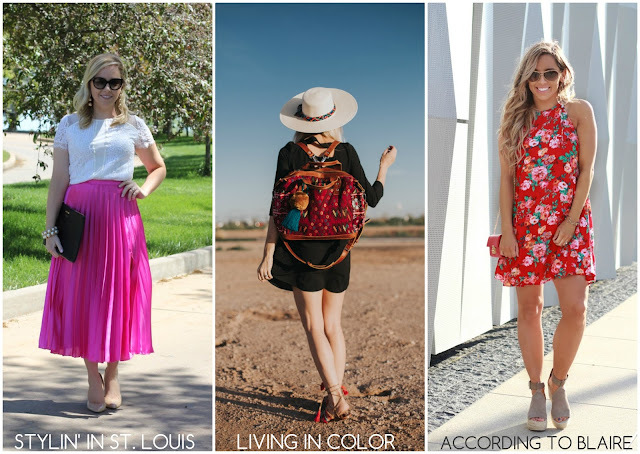 We love the spring outfit that Alicia is rocking! 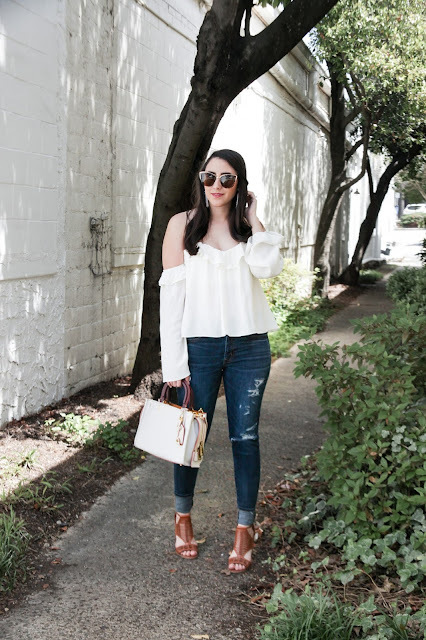 Her denim pairs nicely with her cold shoulder top! Be sure to check out her blog! This is such an elegant and chic look, love those earrings too! You are so beautiful and what a lovely Spring skirt, such a GREAT color!!! Just shines with your pretty blonde hair!! love this pretty skirt and i have that top and love it. This is such a pretty spring look! Love your top! Love that beautiful pink skirt! Perfect with your white top. I've been wanting a pleated skirt and now I know I need one!! This color is so bright + happy- and I love the little matching barrette! Adorable! Love this pop of color! Such a pretty skirt. That is the prettiest lace top! Your pop of color is gorgeous. The skirt, top and earrings are all beautiful. 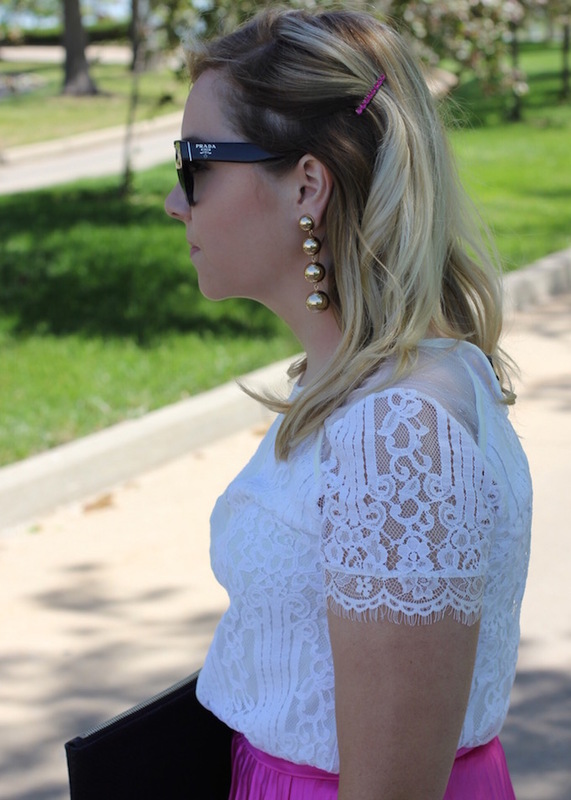 Welcome by and share this gorgeous look on my linkup today, pretty lady. THANKS!! <3 Ada. Love that your baratte matching your skirt. Which by the way is super cute on you! I'm loving the pink skirt. So pretty with the lace top! I am loving that pretty bright pink skirt! It's so perfect for spring! We couldn't get out in the yard last weekend because of rain, and it is supposed to rain all weekend this weekend too. Super annoying. Love that skirt! So pretty on you. So pretty! Love the bright pink skirt and your lace top is so beautiful! This pink pleated skirt is so pretty! I almost purchased a white midi length pleated skirt at the outlets a few weeks ago, but put it back. If it had been this color, I would have def. gotten it! 13 reasons why left me puzzled. I just started girlboss and I like it so far! I read the book first, though. Your skirt is amazing!! 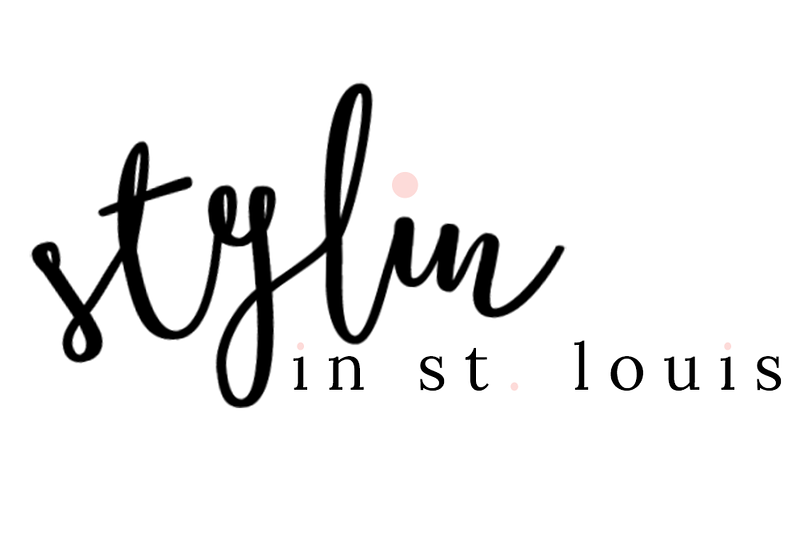 I just found your blog/linkup and I am SO EXCITED to follow along! Glad you like Girlboss! I read the book too! The bold pink and delicate lace make for such a delightful pairing! That skirt is just so lovely!! I love the color and it looks so elegant paired with your white lace top. Beautiful! It finally stopped raining here, rained for 5 days. Gorgeous skirt. Haha those were the two shows I was gong to recommend! That is a gorgeous pop of color too! The skirt is too pretty!